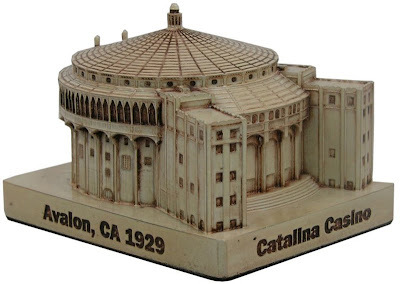 Fellow building collector, Scott D., wrote about Catalina Casino, which is located in Avalon on the island of Santa Catalina, 22 miles off the coast of Los Angeles, California. “The Casino is the most recognized landmark on the island and closes in the harbor of Avalon. 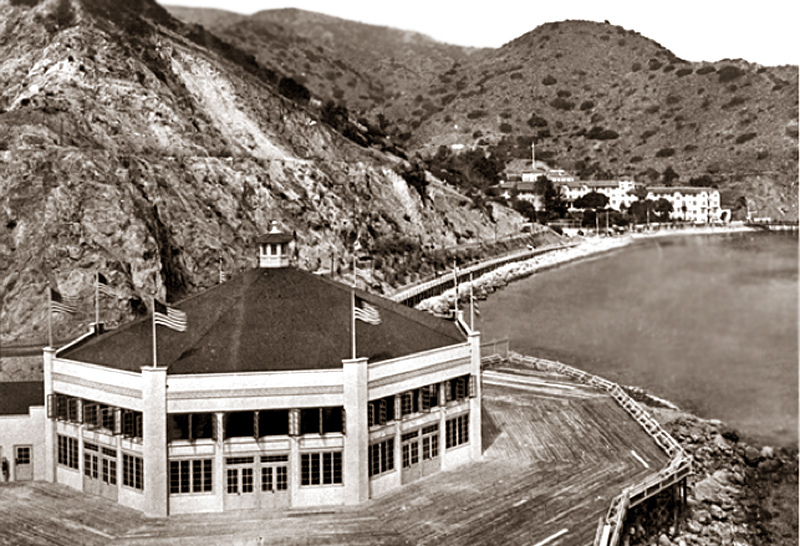 The Casino was built on Sugarloaf Point, an earlier structure that was leveled to make way for the construction of a hotel. Ultimately, the hotel was built elsewhere on the island. 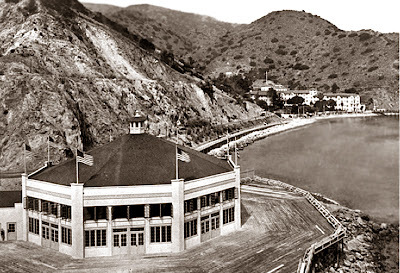 When chewing gum magnate William Wrigley Jr. bought controlling stake in the Island he built a casino called Sugarloaf Casino but it didn’t last long as it was too small and it was razed in 1928 to make room for a new casino. theater patrons directly below cannot hear either the band or the 12,000 dancing feet on the floor above. The Casino also served as the Civil Defense shelter and can house the entire islands population. Wrigley designed the Casino with ramps rather than stairs, an idea taken from his experience with Wrigley Field, the Chicago Cubs baseball stadium. The ramps allowed large numbers of people to more efficiently enter and exit. 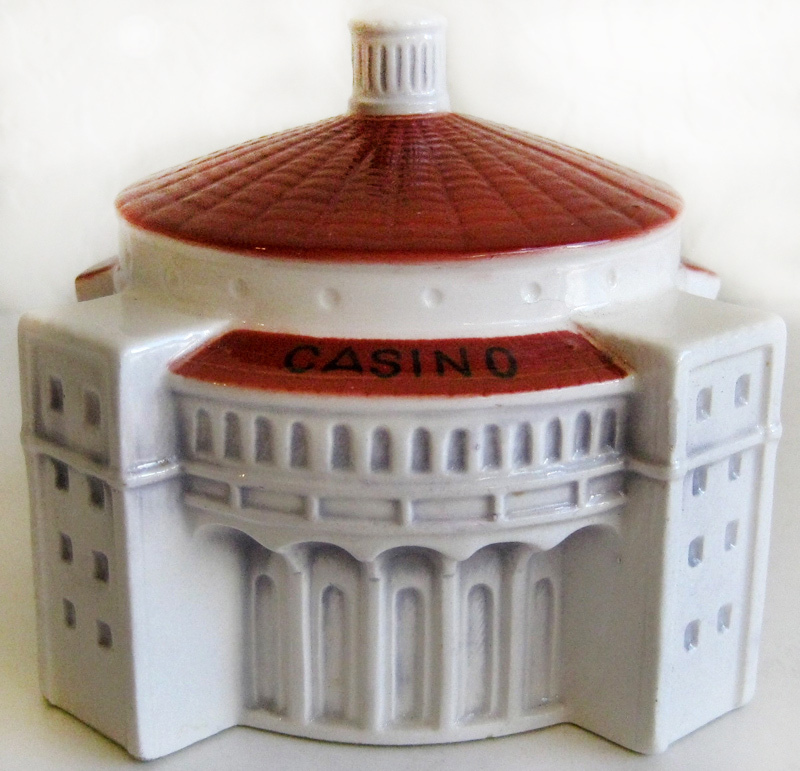 Since the current Casino building has been in existence, there have been different souvenirs made of the building. 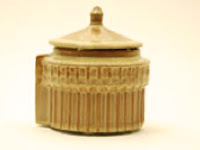 The first replica known was done by Catalina Clay Products Company in the 1930s. The company made tile and pottery on the island. The next know version of the Casino was made by Effco of Japan and was sold on the Island from the 1950s-1960s, (see first photo, above). They are ceramic banks with rubber stoppers and are the most common souvenir of the Casino. 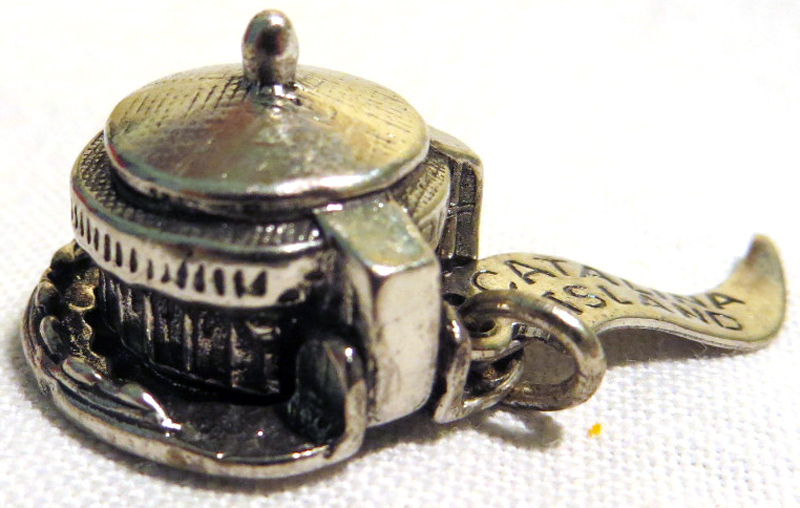 Also, there have been charms made of the Casino. Other versions of the Casino were made, but unsure of the time frame. 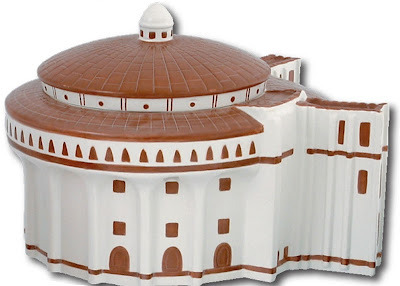 Visiting Catalina Island just recently and seeing the magnificent Casino building in person (It’s very ‘Wow’ seeing all the sea-themed Deco decoration), I made a personal search for a souvenir version of the Casino not only in the town of Avalon, but the Casino itself. I didn’t find a one and the museum gift shop in the Casino itself told me there were none to be had. The only resent version of the Casino is by InFocus Tech and is the most detailed of any of the past or present souvenirs of the Casino. If you know of any other version of the Casino please let us know. It’s always interesting to see different versions of a popular tourist destination! 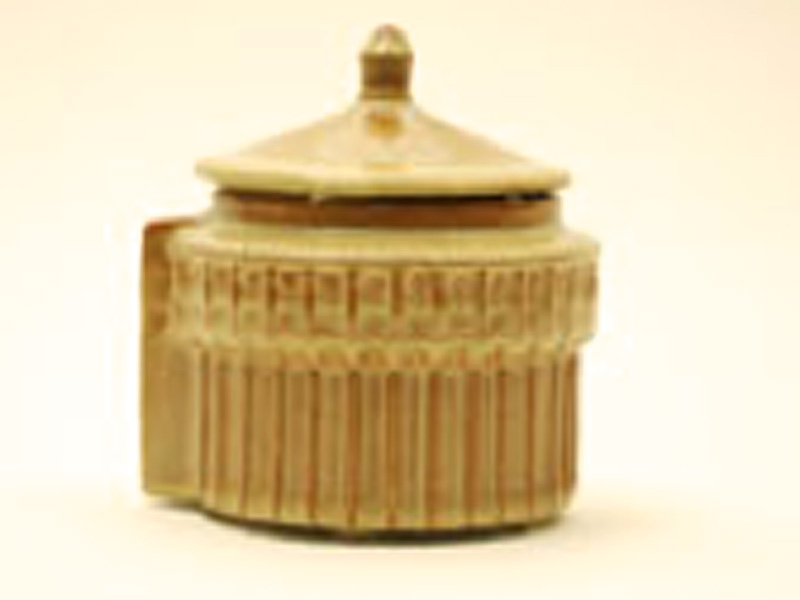 “– Scott D.
I have a one-foot wide reddish clay (painted white) version of the Catalina Casino. I have no idea how my mom got this, unsure if it's new or vintage. There's a sticker on the bottom that says "made in China", so maybe it's not very old at all? The clay is reddish, it is hollow with no top (I use it for dry arrangements), and mostly painted with a shiny white glaze. Thoughts? I'd be happy to share a pic. It doesn't look exactly like the one on your page, but a little similar. I haven't seen anything like it anywhere.